The success of a safe, early Patient Ambulation Program is anchored in its development. Hospitals must establish the need and define the objectives of such a program, not only to gain buy-in and give life to the program on an administrative level, but to ensure buy-in on a daily basis through all clinical levels to ensure the protocols are adhered to. Implementation involves communicating clearly defined objectives and establishing protocol specifics to ensure the highest possible levels of adherence. Do not assume everyone understands or is on the same page when it comes to the need for a Patient Ambulation Program, its objectives or its goals. These details need to be written down, refined and agreed to. When it comes to defining the need and establishing objectives for your Patient Ambulation Program, the work can start with one person but ultimately requires a team: ideally a multi-discipline team. Staff members from other departments can provide different and valuable perspective. Using a multi-discipline team will also aid in buy-in later in the process. Your Patient Ambulation Program must be agreed to and supported as a concept. In some cases this will require initial presentations and providing evidence. Supporting Return on Investment documentation is vital. 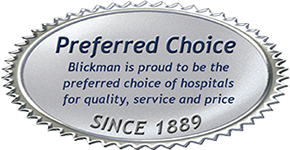 Blickman can supply both evidence based documentation and financial justification for your program. Parts of your protocol will evolve during the steps above, but ultimately your team will need to develop a clear and well-defined protocol. You will need departmental, financial and senior management approval. To ensure the ongoing success of your new protocol you must achieve and maintain a high adherence level. This starts with an implementation program that should include internal promotion: spread the word, create a buzz! Orientation and training needs to be provided to all team members that will have oversight and hands-on responsibility. Remember training will need to be provided to all new staff members. 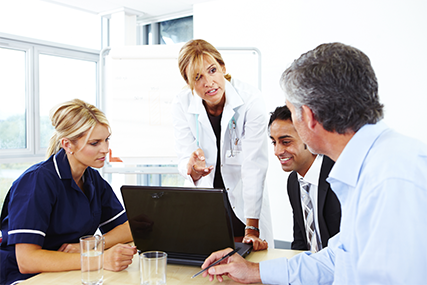 Working with your Nurse Educator, your team should be able to put in place an ongoing training program to sustain your Patient Ambulation Program. Click on Nurses for a Healthier Tomorrow to learn more about becoming a Nurse Educator.